Prominent LGBT Republicans condemned the president for his discrminatory action. 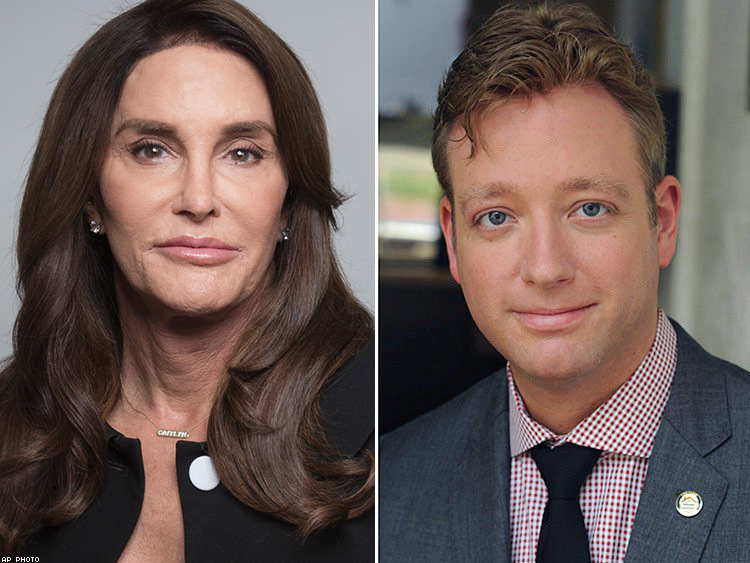 Caitlyn Jenner and the Log Cabin Republicans have spoken out against Donald Trump. The GOP's most prominent LGBT voices released separate statements condemning the president for his ban on transgender service members. Trump announced the ban Wednesday morning on Twitter. Jenner, tweeting a prior promise by Trump to fight for LGBT people, is holding the president to his word. "There are 15,000 patriotic transgender Americans in the US military fighting for all of us. What happened to your promise to fight for them?" wrote Jenner, who in 2016 pledged to be a "trans ambassador" to then-presidential candidate Ted Cruz. In February, the Republican reality star called the Trump administration's previous move to rescind protections for trans students "a disaster." Gregory T. Angelo, the president of the Log Cabin Republicans, said, "This smacks of politics, pure and simple." "The United States military already includes transgender individuals who protect our freedom day in and day out. Excommunicating transgender soldiers only weakens our readiness; it doesn’t strengthen it," he said in a statement. "The president’s statement this morning does a disservice to transgender military personnel and reintroduces the same hurtful stereotypes conjured when openly gay men and women were barred from service during the military’s ‘Don’t Ask, Don’t Tell’ era," he continued. "As an organization that led the charge against that hateful policy, Log Cabin Republicans remains equally committed to standing up for transgender military personnel who put their lives on the line to keep us free." In three separate tweets, Trump announced he would be reversing the Obama administration's repeal of the previous ban on transgender troops, due to "tremendous medical costs and disruption that transgender in the military would entail." "After consultation with my Generals and military experts, please be advised that the United States Government will not accept or allow Transgender individuals to serve in any capacity in the U.S. Military. Our military must be focused on decisive and overwhelming victory and cannot be burdened with the tremendous medical costs and disruption that transgender in the military would entail," Trump wrote. Transgender people in the military were able to serve openly and have access to insurance coverage for transition-related medical procedures since last year, under a policy announced by Ash Carter, Defense secretary under President Obama. Previously, trans people were barred from serving, although many did — in the closet and without the coverage. Now the country will return to those days, except that so many trans people had already come out of the closet. They will presumably now be discharged. The National Center for Transgender Equality estimates there are 15,000 transgender Americans now serving.